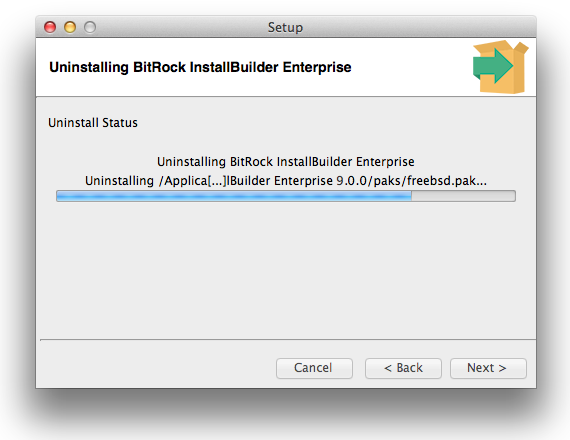 An uninstaller is created automatically during every installation, unless you specifically specify otherwise. This makes it easy for your software to be uninstalled by users if necessary. As with InstallBuilder installers, uninstallers can be run in GUI, text, or unattended modes. On Windows, uninstallers can be also be accessed from the Add/Remove programs folder in the Control Panel.